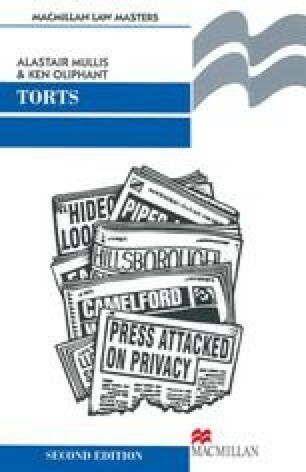 In this chapter we consider the remedies available to the victim of a tort. We concentrate in particular on the formal rules governing the recovery of damages for personal injuries and death. In addition, we examine the rules governing the recovery of damages for loss of or damage to property and the circumstances in which an injunction may be granted in a tort action.